Now that it’s full on winter here in Boston, we’re ecstatic to roll out our winter tour dates! 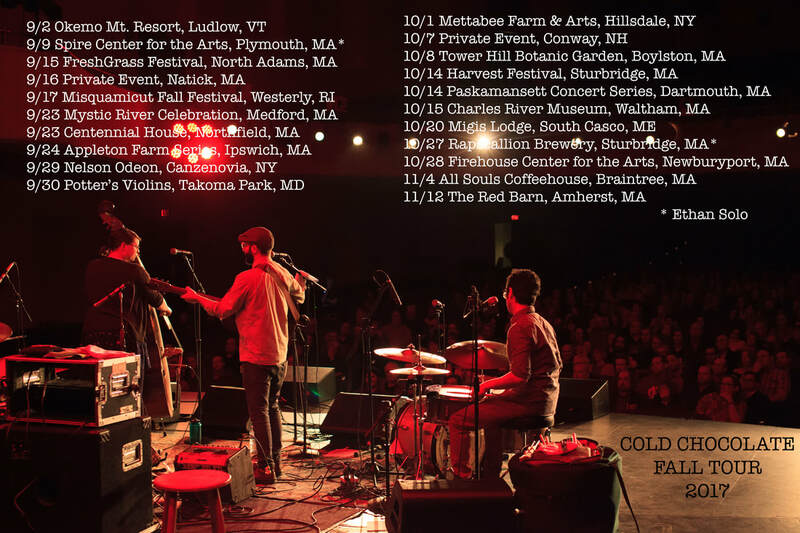 Cold Chocolate will be coming through MA, NH, MD, VA, ME, NY...let us know where we’ll be seeing you! New Video Alert! We've been working towards a new record for some time now and have been waiting for just the right moment to release a couple new Cold Chocolate "Living Room Sessions." Well, that moment has finally come. Big thanks to Sean Trischka for filming/editing. 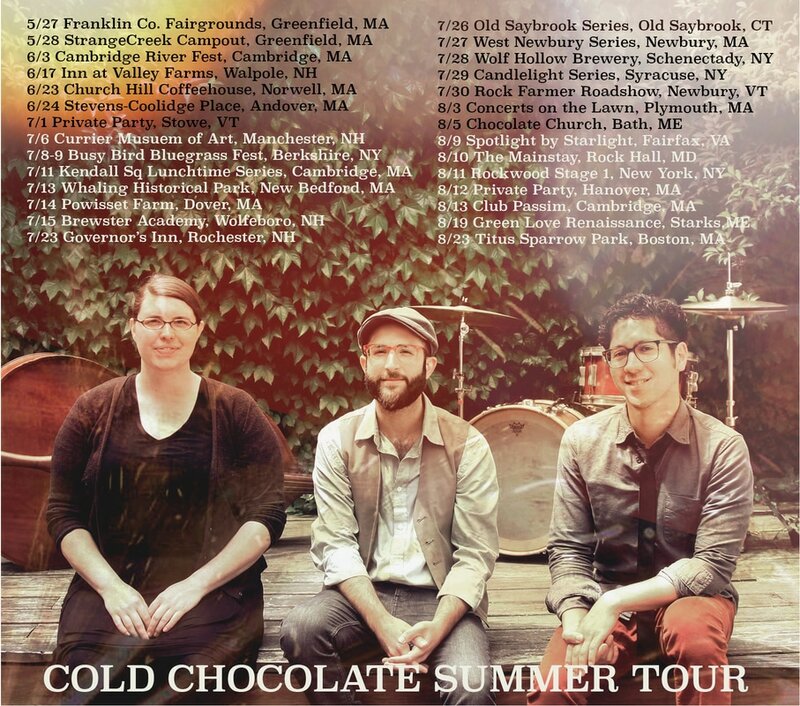 ANNOUNCING the Cold Chocolate SUMMER TOUR! Check out our tour page for further details! The Way Back - New Album NOW AVAILABLE! Our new album is now live! Give a listen, learn all the words, share reponsibly! Stream and download via BandCamp! For the better part of a year, we've been reimagining the Cold Chocolate sound, and we are thrilled to be releasing a new record that reflects the band we were and the band we have become. Join us on Friday, November 18th, at the Lizard Lounge in Cambridge, as we release "The Way Back." 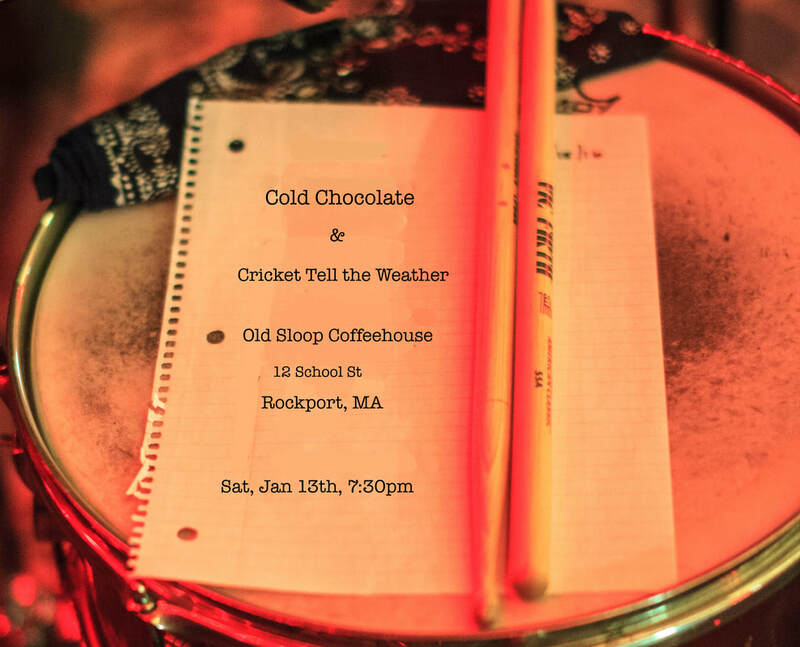 We'll have our good friends, Cricket Tell the Weather, joining us to make the night epic! Purchase your tickets today, this show is sure to sell out!